Everyone says that pairing wine with Asian food is difficult (seriously, when you say "Asian food" and it includes everything from northern Indian food to sushi... that doesn't really work). We love salt & pepper chicken. But, being a dish that includes copious onions and soy, it's got some challenges when it comes to pairing it with wine. I've been working on a wine chart for a while, and matching the umami versions of various main ingredients has been interesting. So, we thought we'd try a Greco; herbal, citrus, not heavy, but can have slight hints of umami. Specifically, we tried a 2010 Torre Quarto Hirondelle Greco Puglia. Greco also is well known for pairing very well with lots of dishes, so it made for a fairly safe choice. It turned out to be the right one; it had just enough mineral to make it interesting, and enhanced the savory flavors of the chicken, while still providing enough of a contrast. Bottles are going for about 10 bucks now, so if you want to try something with "asian food" I have to say that Greco might just be a winner. One of my favorite meals to make for our family is homemade tacos with carnitas. I like to make my carnitas by a slow braise. This allows the pork to get very tender, and it practically melts in your mouth. Heat oven to 350. Coat the hunks of pork with kosher salt - not too thick, just a nice coat (about a tablespoon all together) In a large, cast iron pot on the stove (isn't mine GORGEOUS? THANK YOU HOLLY!) heat your frying fat, and put chunks of pork in. Let them brown on all sides, then add water to about 3/4ths of the way up the chunks. Add all the spices and stir. Pop it in the oven for 3 hours, or until the pork shreds easily with a fork. Take the pot out and shred the pork. There still should be liquid in the pot; return the pot to the oven until most of it has evaporated/absorbed by the meat, and the meat is as dark as you'd like. I like to serve carnitas with salsa fresca (usually about two large tomatoes with seeds and skin, 1/2 medium onion, 2 cloves of garlic, a mild banana pepper de-seeded, a tablespoon of lime juice and salt to taste) and guacamole for which I freely admit to just using Alton Brown's recipe because it is fantastic. I make homemade corn tortillas (for which the recipe is: masa harina and water; ok, there's no real recipe.) I also like to have rice and grilled corn on the side. As an aside, sorry I only have pics of the first few steps... I ended up being too involved in the cooking and eating. Trust me, however: you cannot go wrong with this recipe. Why my food photography looks like... a family dinner. There are a ton of food blogs out there with beautiful, mouthwatering pictures of meals, plated perfectly, glistening under really good lighting, on a sparkling surface. My food pictures tend to look more like what would be served up at someone's house. 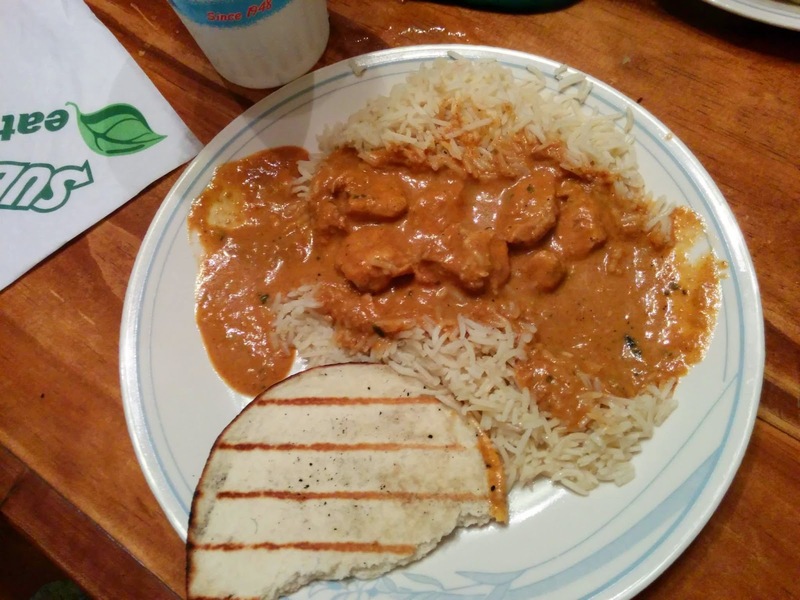 The plates are serviceable (let us say "durable"), the napkins are mismatched, water has spilled on the table (and sometimes some of the food has too). The reason for that? I don't cook food to take pictures of it. I cook food for my family to eat. If we get a couple of pictures of it along the way, then great. The fact is, with a family of seven, we rarely have time to worry about how well it is plated, and getting the lighting and angle just right. And this is all ok. Really, really ok. Because I think that people should see what the food will look like when you really make it. This isn't primped and primed or anything except thrown on a plate. Because 99% of the time, that's how you're going to eat it. So my pictures aren't all beautiful. Heck, I'm happy when they come out in focus. But they are real, and you can know that that's what it really looks like. I was asked to write a post about how we manage to run our house with all seven people in it. Now, it somewhat depends on the season. During the summer we don't have to worry about school lunch meals (which Joshua faithfully packs every day for the each of the kids, along with making bread daily for their sandwiches). We rarely buy bread products; we have a bread maker for sandwich bread, things like buns and dinner rolls are easy enough to make by hand, and you really can't compare the flavor of homemade corn tortillas to anything you buy at the store. The really big secret for us is ingredients. This is our freezer section (we have another little freezer entirely devoted to rhubarb, mostly for Rhubarb Chicken Risotto, a family favorite). Last year we got a half steer, two pigs, 10 chickens (beef, pork, and these chickens are all pastured and near-organic; I prefer my farmers to be able to treat their animals when they need it than get something with an organic seal), about 240lbs of chicken breasts, 4-10 ducks, quarters of parmesan wheels. We also get bags of fish (I'm still looking for a good local bulk source of fish, but it's hard), and as you can see, Fla-Vor-Ice. Because hey, kids! Yeah, we buy in bulk (side note to self: out of sesame oil!). You'll see gallons of olive oil and duck fat, five different kinds of rice in two to five gallon containers (regular long grain white, short grain japanese sushi rice, arborio for risotto, basmati, and brown), five gallon containers of flour (all purpose) and quinoa, one gallon containers of everything from whole wheat flour to mushrooms (shitaake, maitake, porcini, and when we're lucky morels), quarts of nuts, sesame seeds, various herbs and spices, polenta, masa harina, panko crumbs, liters of rice vinegar and soy sauce, and shelf-stable chicken and beef broth concentrate in ~gallon packages (seriously, this stuff is wonderful, best flavor next to homemade -- which I make as much as I can and it isn't enough). Joshua and Duncan prepare to Farmer's Market! That's 3 red peppers, 3 banana peppers, two avocados, two limes, two lemons, five tomatoes, 10 tomatillos, six sweet bells, two bok choy, a bag of grapes (we usually go through fruit faster than anything; it's one reason multiple trips to the store are needed in a week), a bag of spinach, a bunch of carrots, two bunches of green onions, 13 ears of sweet corn, and multicolor swiss chard. We have two half gallons of milk, but we'll be getting more milk and some cheese on Tuesday (the day the milk comes to To Your Health). Saturday: PROFIT!! Oh wait, no. Probably ribs or schwarma or something. This one is especially for my Wisconsin peeps. So allow me to add another drink to your brandy menu, friends: the brandy Horse Neck (can also be made with whiskey, but we are talking Wisconsin.). The name comes from the lemon peel that is supposed to go in the glass, but you should have learned that I just don't do garnish (look, I do this at home. Garnish is optional.) So just imagine a lemon peel dipping itself into the drink like a horse's head, and you'll get the idea. 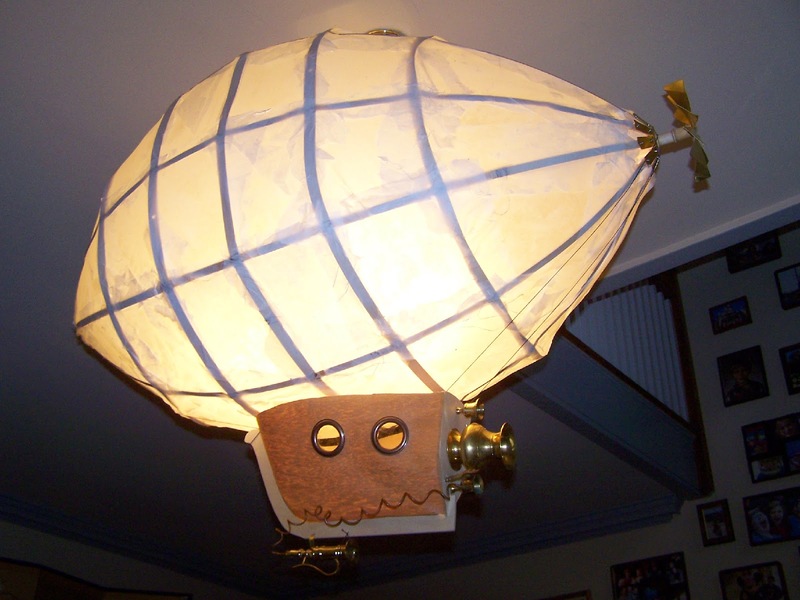 I finished my steampunk zepplin lamp, finally! Unfortunately, I completely forgot to take pictures of the construction. We finally hung it up in the front hall yesterday. For the gondola, I cut the keel and back out of beech plywood; the sides are a very thin, paper backed oak veneer. The portholes are curtain grommets with mica pieces for glass. The jets are candlestick tops and a small urn. I connected the bottom "jet" with a piece of old copper tubing I had, then hung the whole thing from the frame. From there it was a matter of using the plate from the previous fixture to hang it, wiring it up, and turning it on. Ta-da! Whadda ya think? Let me know in the comments! OK, it's no big secret I'm a big fan of cream soda. There are so many interesting non-alcoholic, sparkling beverages out there... like this one, the delightful Blumers Blueberry Cream Soda. Now, I'm a sucker for the flavor blue. I know, I know, blue isn't a flavor, but you know what I mean. Ever since I was a kid I thought that blue-raspberry flavored anything was the very best thing (fruit punch a close second). Icee's, gum, freeze pops, blue moon ice cream (what IS that flavor anyway? For those not in WI, blue moon is a flavor of ice cream that cannot be described, only experienced, and apparently only exists in the upper midwest. YOU ARE MISSING OUT.) Things that are blue, in my mind, taste good. 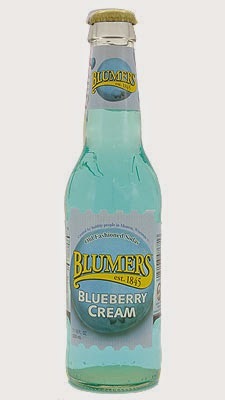 Which brings me to the amazingly delicious Blumers Blueberry Cream Soda. Made by Minah's Craft Brewery in Monroe, WI, it's a small batch (well, for soda), local product. In flavor, it's got a hint of vanilla, and a lot of blueberries, and... the flavor blue. It isn't too sweet, just right in fact. I don't allow myself to have any in the house because it disappears instantly. If you want possibly the best ice cream float this side of keg-tapped 1919 Root Beer (oh, we'll get there my friends) and vanilla ice cream? Use this and a scoop of blue moon. I think my tastebuds just exploded. But seriously, if you live somewhere you can get a hold of Blumers (which again, upper Midwest is probably your best bet), do it. Your tastebuds will thank you, even if your waistline doesn't. And it's ridiculously cute too. This is my grandmother's toaster. We use it regularly. It was made in 1937. 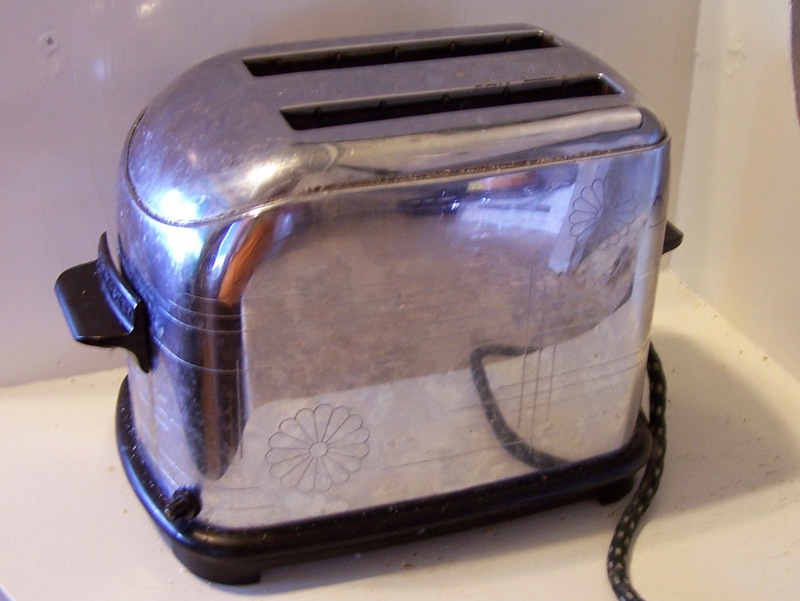 Let me repeat that: this toaster, which works really well, was made in 1937. I've talked before about quality design and manufacturing, and this is another amazing example. I just can't imagine any small appliance bought today -- heck, almost anything I buy today -- being used nearly 80 years from now. When we have to buy something I've found myself buying either the commercial version (they still make ones to fix, even if I have to save up for them), handmade metal and wooden, or "antique" items. (OK, my parents recently replaced my un-fixable KitchenAid food processor with another, brand-new identical one gotten at an auction, and gave it to us free, so yeah, there's that.) That, or things get refinished and re-purposed, even if they weren't meant to be. I recently ran across this great article about heirloom design, what it means, and what it will take to return to it. One thing that it does address that I think is incredibly important is the fact that currently people rely on WalMart priced goods because they can't afford anything better at a given time. "If products were more durable, Cooper argues, some jobs lost due to the decrease in consumption would be offset by the addition of more highly skilled maintenance and repair jobs. And whereas the lost jobs might be overseas, the repair jobs would be local." Merrill used to have a thriving manufacturing base based on high quality, repairable merchandise (and we used to have more repair shops too). I think of what it could mean for us for this kind of manufacturing to come back, and I get all happy inside. Now, how can we make it happen? A real martini. Not made with flavored vodka, not a swish of vermouth and a glass filled with vodka (as much as I like Bond), and it definitely doesn't have the word "apple" in it. The original martini is now called a "Gin Martini," and at most bars if you order a "Martini" you'll get something closer to a shot and a half of vodka in a pretty glass. The real, original martini was a beautifully balanced, slightly sweet and surprisingly smooth drink. And it used to be garnished with a cherry. Anyway, here's a martini as I make 'em; I leave off the garnish (but a twist of lemon or orange would go nicely). Fill shaker with ice, pour in ingredients. Shake (or, for original authentic-ness stir), and strain into martini glass. Since I'm away at GenCon, I leave you with this 24K gold nugget of wisdom. Thursday Kiddie Cocktail Hour – Mango Coconut "Milkshake"
By popular request, this is a mango coconut drink I made for one of my seven course meals a few years ago. In a blender, combine coconut milk, cardamom, and mango chunks and process until smooth. Makes 2-4 servings, depending on the size of your glasses. 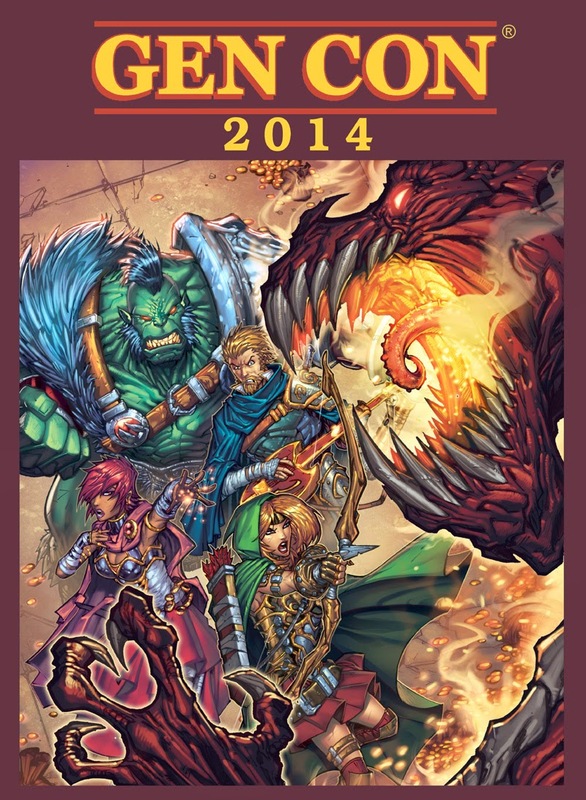 It's crazy excitement time here in the Jaeger household, as GenCon is nearly here! Four days of nerding it up, gaming, hanging out with like minded people, and generally having a blast! We haven't gotten to go since 2011 so we're pretty excited! We're packing up the van, loading up the cooler (seriously, have you seen the food prices at conventions?!? We've got a cooler that will keep food cold for almost two weeks. OK, we'll eat dinner out.) But we're packing up and heading out and we won't come back until we've gamed and gamed and can't game no more. And do paint & take minis every day. That's important too. I'm writing today to tell you why I cannot bring myself to shop at your stores any longer. 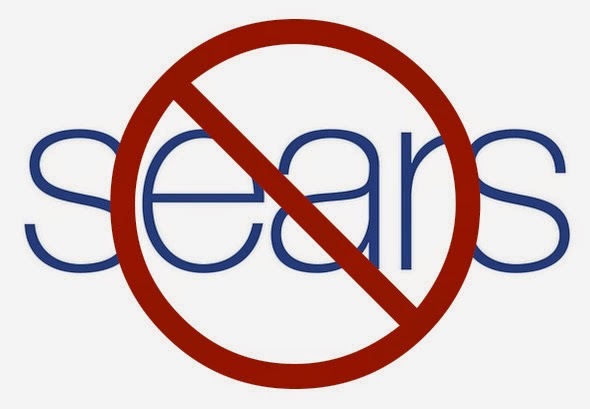 I loved Sears, and I bought quite a few things from you over the years; I was excited to get a Sears store card and planned on continuing to use you for all of our major appliance purchases and as many of our family purchases as I could. Then my family needed a dishwasher. I discovered that one was available from Sears, and on sale, and was incredibly excited that I could use some of my points to get it; I even paid extra to get it installed. A week and a half later, I received a call that you no longer installed in my area - even though I know several people in my area who recently had appliances installed. Then your system cancelled my order even though the person on the phone assured me they could just refund the installation order and we could pick it up. I talked to your customer service representatives and all they could do was give me 10% off if I chose to order it again over the phone, but it was no longer on sale. They couldn't tell me anything about installation or delivery. My family needed a dishwasher and we were left with nothing but hot air after weeks. After this truly awful customer experience I have taken a long time thinking about my relationship with Sears, and I've come to the very sad conclusion that I'm going to have to let go of my love for your Kenmore products and no longer shop with you. I will also be spreading word of my experience to those that I know. It makes me very disappointed to do this. Considering my customer service experience so far with Sears, I expect to get a form letter back stating how sorry you are, but not actually changing anything. It's incredibly sad to me that your store, which used to be known for it's quality customer experience, is now like this. And this is the reply I received. Note that I can get up to 100 dollars off! WHEE, isn't that not exciting at all since the sale was 40% off the dishwasher (did I mention it isn't on sale by the time they cancelled the order from under me?) and they didn't say a word about installation. I apologize for the inconvenience that you have experienced with regard to your sears.com order number 695861856. I absolutely understand how you are feeling right now and to be honest, I would have felt the same. We are always looking for ways in which we can improve. Please know that our management team reviews the feedback that you have provided today regarding our customer service and will be taken into consideration as we continue to enhance our services to meet the needs of our customers going forward. All comments, suggestions, contributions and indeed all feedback from our sears.com customers are very important to us. This isn't the experience that we want you to go through. I would like to offer a 15% discount (upto a maximum of $100) on your next purchase for the items sold by Sears or Kmart. If you place a new order, please reply to this email with your new order confirmation number, and we will gladly process the credit. Please be advised that this offer is not valid for the items sold by Marketplace merchants, In-store purchase and for the layaway orders. We hope you will forgive us and give us another chance to meet your needs. The thing is, it wouldn't have been hard for them to make this right. Just give me what I originally ordered at the original price, and have it installed. I don't want anything free. I just want what I ordered without having to call and spend hours on the phone. So, Sears: you've lost a customer, and I hope that reading this experience will make others re-consider being Sears customers. This continues my project to turn a beat-up, free MDF sideboard into something that is cool and steampunky. So I've got the sideboard as far as it's going to go for now. I put leather on the glass door, first with hot glue, then with upholstery tacks (I pre-drilled holes using a Dremel so that I couldn't have to pound hard and risk cracking the glass). The other doors were ready to go so I just put them on; the tacks on the glass door necessitated I move the door down about a quarter inch so that it would fit comfortably. I also put the old knob on until I can get my cthulhu knob of awesomeness, and the old handles on the lower doors until I could make something appropriately industrial. I gave the leather a coat of walnut oil, which is food safe and won't go rancid (another tip: if you heat it before you apply it it will polymerize and you'll get either very hard leather or a very tough coating on wood). It darkened the leather slightly, and the leather will continue to darken over time. I thought about doing the usual steam-punky thing of putting gears on it, but I think if something is going to have gears they should at least look like they have a point. Of course, I added watch gears to some frames in my living room and they totally don't have a point, but I digress. Here's the completed project in use! - or a million other things. The power of the thing is amazing. Right now it's still missing a couple of obvious channels - G+ and Pinterest being the most obvious - and I really hope that at some point you can automatically put Facebook events on your Google calendar, but still, check it out, it's pretty cool. 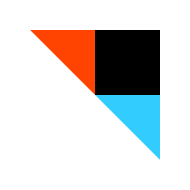 Have a good IFTTT recipe? Tell me in the comments! Sangria goes with summer. 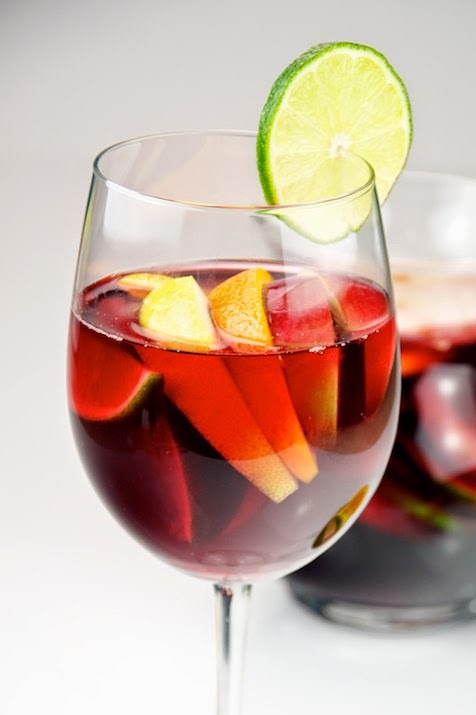 Sangria is what wine coolers wish they were - sweet, spicy, cold, fruity, and delicious. Don't go with the super cheap wine for this; a good dinner wine with some character will show in the final product. A bottle of dark red wine - traditionally Rioja (Tempranillo); I like Zinfandel, Cabernet Sauvignon, and Syrah as well as Tempranillo. Something dark and spicy. Chill wine for at least 2 hours in the fridge. 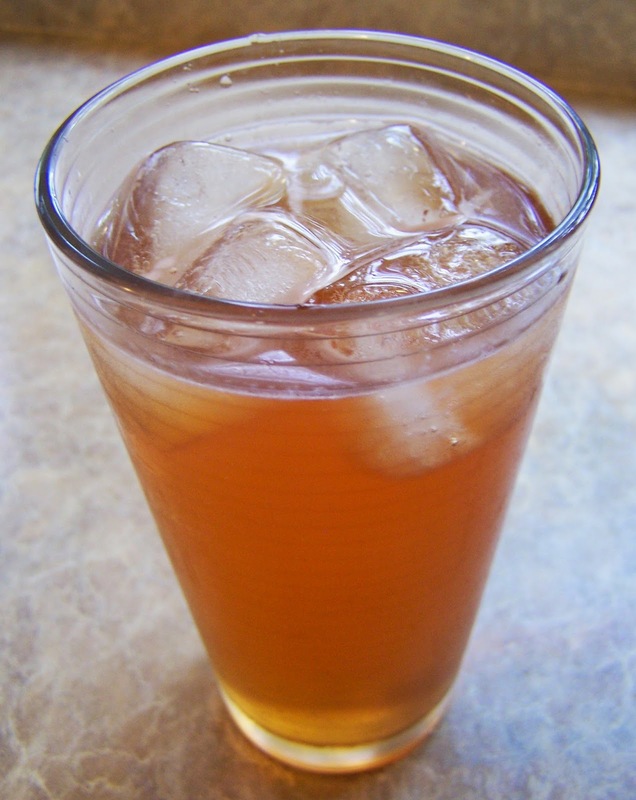 Combine everything but seltzer in a punchbowl or pitcher (recipe doubles easily) and stir until sugar is dissolved, then add seltzer and stir. Serve in cups, glasses, or whatever (and make sure everyone gets a piece of fruit). Yes, you can cook. You have time. And energy. And talent. Really. have to. Photo from Ruhlman's article. Honestly, this is going to be a very short post because I'm mostly pimping someone else's post: Michael Ruhlman's amazing America: Too Stupid To Cook. 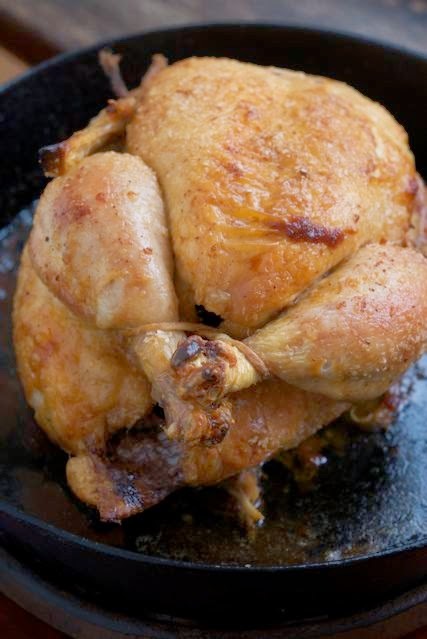 A summary: no, we aren't, and here's a REALLY GREAT EASY RECIPE FOR ROAST CHICKEN. Yeah, I was a little yelly there, but it's because it is a perfect recipe for everyone who is too busy to cook. Roast chicken is cheap (6 bucks) and fast (one hour) and you can make baked potatoes at the exact same time: wash the potatoes, coat in oil and salt, and put in the oven with the chicken. No foil, no nothing, just put them on the oven rack, and take them out when you take the chicken out. That's it. Microwave some frozen peas while you're at it and you've got a great meal. These days if you order a a kiddie cocktail you'll wind up with a modern Shirley Temple - lemon lime soda with a dash of Rose's Grenadine. I wish more places would offer the true original - ginger ale and orange juice with grenadine; it's so much closer to an actual cocktail experience. 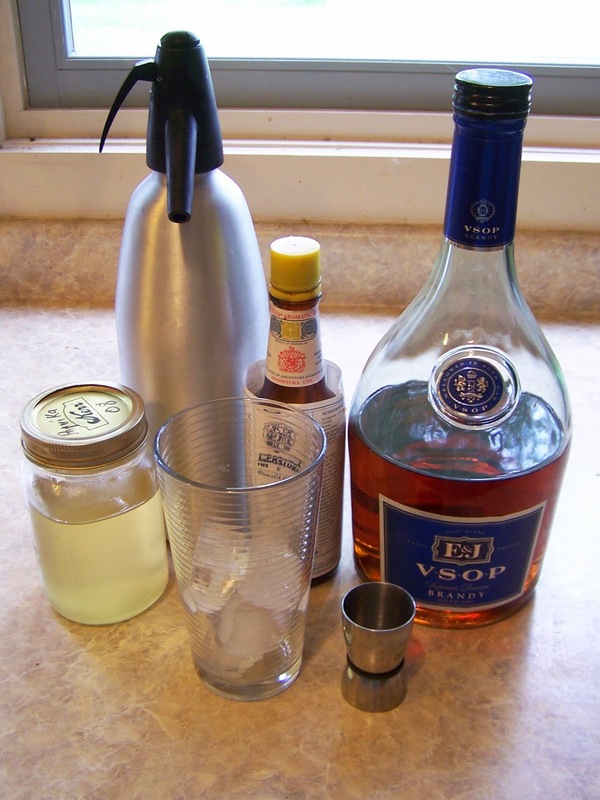 My recipe for a Shirley Temple is based on the original, but done with some serious homemade touches that will make your kiddie cocktail something to remember. 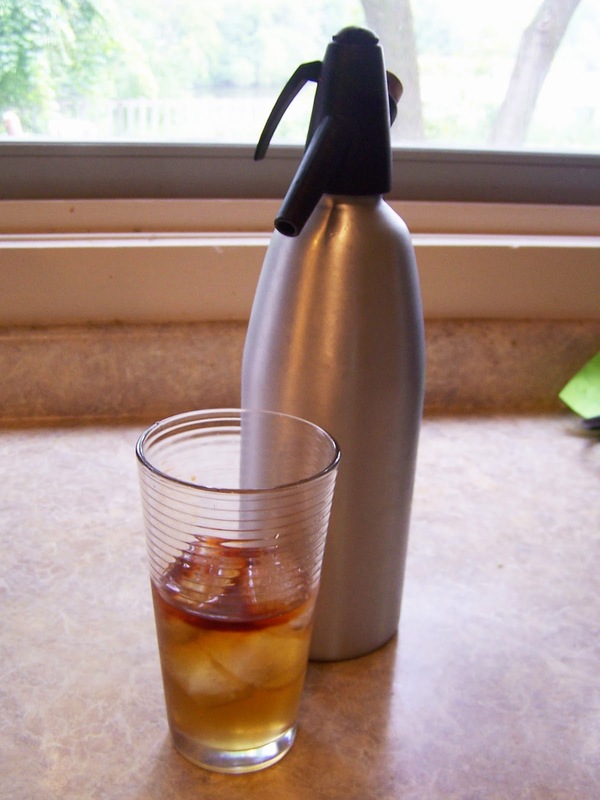 If you want to make it easier, substitute 8 oz of ginger ale for the syrup and seltzer. Put syrup, grenadine, orange juice, and seltzer with ice in a 16oz glass. Stir to combine, garnish with a maraschino cherry, and enjoy. Heat over medium heat until boiling, then remove from heat. Allow to steep for 10-20 minutes. Strain through a fine sieve into a glass jar. Will keep in the fridge for up to a month. You want mouth watering, lick the plate ribs that are tender, smoky and delicious? You might have read my Yakiniku and spinach with peanut dressing post; the ribs use a very similar sauce. This is a recipe for a grill (I have propane, but this would be easy to adapt for a charcoal grill or even a smoker). My trick is to braise the meat over a long period in the sauce, which leaves the meat fall off the bone tender. 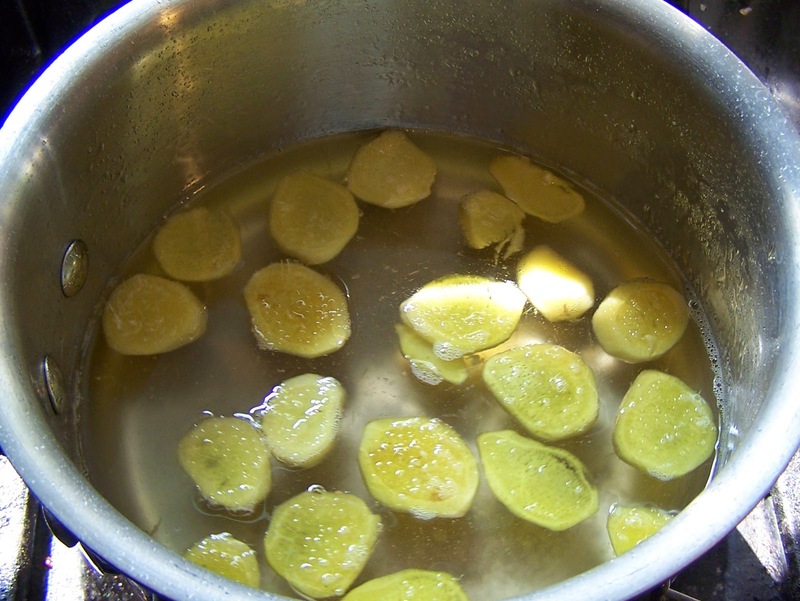 Mix the wasabi powder with 1 teaspoon of water, and let sit for a few minutes. Combine all other ingredients except ribs and water in a glass measuring cup with handle and pouring spout (or anything else that's easy to pour from). Add wasabi and combine thoroughly. Heat your grill on high until the grate is nice and hot. Sear ribs on the grill. Transfer the ribs to the pan on top rack of grill (fat side up) and put the pan of woodchips on the lower grate. Reduce heat to about medium (or whatever gets your grill to stay around 350ish with the top closed. 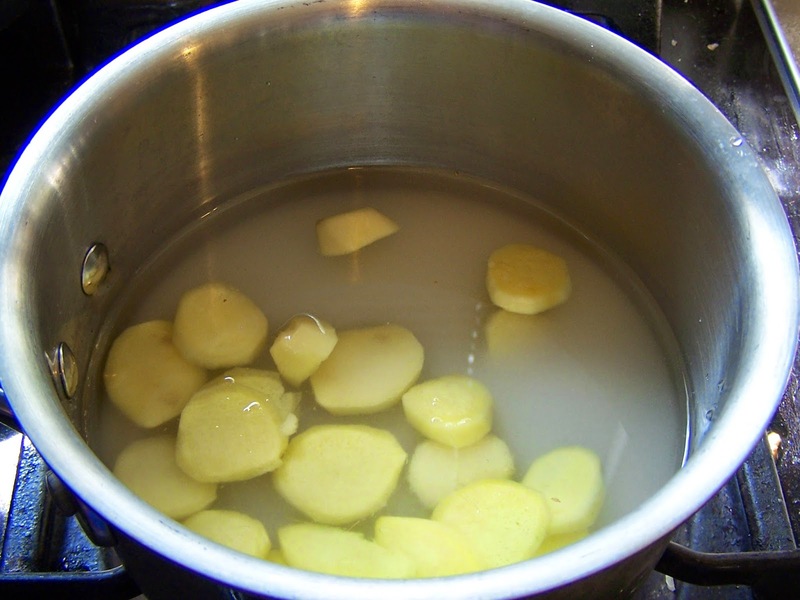 ), add water to the pan. Close the lid and leave it for 45 minutes. After about 45 minutes turn the ribs over. Leave for another half an hour, then turn the ribs once more, and pour the sauce mixture over the ribs, lifing the ribs gently (gently cannot be stressed enough, I have poked through the aluminum and it is very disheartening) to make sure it gets everywhere. 30 more minutes, baste (don't turn), 30 more minutes, baste (if the sauce is getting too thick add a small amount of water - you don't want the sauce to burn), 30 more minutes, baste. Now you'll check every 15 minutes. When the ribs are nice and floppy and the sauce has thickened to the correct consistency (a bit thinner than ketchup), take 'em off the grill and enjoy. Total cook time: about 3-4 hours. 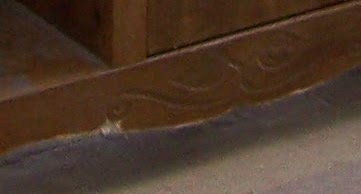 So there was this MDF, beat up sideboard left in the attic of our place from the previous owners. I wanted a sideboard, and I'm working on the whole steampunk thing, and I'm really cheap and didn't actually want to buy something, so I've been working on making it more victorian and steampunky. Joshua and Austin wrestled it down the stairs for me (quite a feat since the thing weighs a LOT), and there it was in its... potential glory. You can only kind of see it in this picture, but the paper "veneer" covering on the glass door on the upper right is peeling badly, and the kickboard on the bottom is really badly damaged. I decided to cover both those pieces with leather. Ignore the dates, they obviously mean nothing, other than "this is what happens when the kids play with the camera"
The back was cardboard and was really warped and fairly ugly. I took it off decided to cover it in fabric. I was thinking about using black leather, but I decided it would be too much and went with a vegetable tanned leather that I'd antique and use walnut oil on for durability (I've got lots of leather just waiting to be used). I also had fabric in my bin o' fabric I had that I wanted to use for the back, but it was little too white, so I decided to dye it with tea. I took off the glass door and all the hardware, and taped up the glass so that I could paint the part that I wasn't going to cover with leather; I also took the other doors and shelves out and took the top piece off the bottom. I'm not Martha Stewart; I didn't do a perfect job. There are a few drippy portions and a couple of small missed spots, but it's much better. Next, I used upholstery tacks to attach the leather to the kickboard and glued the fabric to the backing. Duncan was pretty excited about this part. I had to bring the mostly dry pieces inside because the weather was getting threatening, so I put those together, with Duncan's help. I still have to finish the glass door (tricky) and put the other doors back on, and I want to get this awesome octopus door knob for the glass door (it's Cthulhu's head!) and some new industrial-y looking handles in copper (or maybe make some out of small pipe fittings?) for the closing doors, but it still is looking good so far!